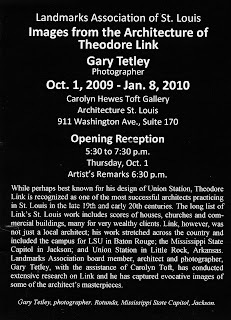 Theodore Link Exhibit Opening ! Check out the new Landmarks Association exhibit on the work of Theodore Link is opening Thursday 1 October 2009 at 5:30pm. 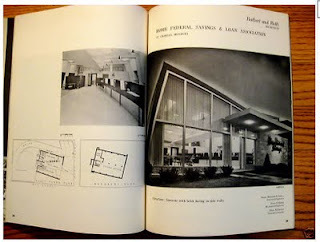 Exhibit will be held at Architecture St. Louis (Landmarks' offices, 911 Washington, StL Mo). Photographer, exhibit-creator, and Link authority Gary Tetley will speak at 6:00. As always, food, wine, and good company are provided at no charge. 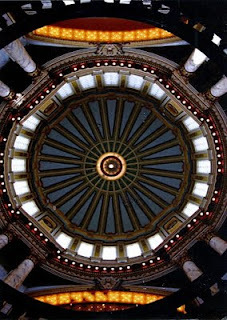 Photograph of Mississippi State Capitol Dome, Jackson, MS by Gary Tetley, AIA. 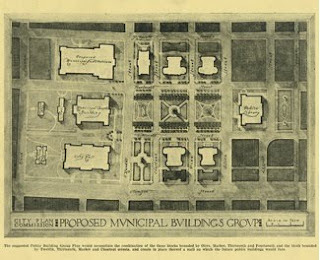 Public Building Group Plan for St. Louis: The City Plan Commission, St. Louis, Missouri by Harland Bartholomew. The referenced article describes a project by students of a program of Parsons The New School for Design to provide support for those suffering from the devastation of Hurricane Katrina. This project is one successful example of many that are models for communities and schools of architecture working together for the betterment of each. Please see the original short article from The Daily Tonic (Your Daily Inspiration in architecture and Design) here. To get a more complete understanding of the project. "I'm wondering how we could obtain funding for a project of this sort here in Saint Louis? Any suggestions?" Here is an exchange of comments deriving from this post. PVZM: I don't understand Andrew. Do we need something like this here? Where would it go? Whom would it serve? Andrew Raimist: The devastation of a natural disaster is obvious and the need to help those effected by something out of their control is clear. Wouldn't there be examples of people harmed through man-made disaster around the Saint Louis area? My interest in proposing something of this nature revolves around the involvement of students working with the community... Read More to solve very real problems. This kind of work would help to counter the argument that architects just add unnecessary "design elements" that merely increase the cost of building. In some particular cases, this unneeded expense is unfortunately the case, but it is not true for the greatest number of architects. PVZM: OK. I have never made such an argument myself. I understand what you're saying. I am curious as to what type of facility might be useful to people in our area. I think the fundamental idea that a building can be built without an architect is a little wrong headed, though it also seems to me that the level of thought that is going into a lot of new structures that i have encountered is very minimal. For example, there is a doctor's building near Creve Coeur called City Place. Nice new building. But when you start to pay attention to the little details, I see strange things. The bathrooms have this heavy textured wallpaper (plastic,vinyl?). This seems an odd choice for anywhere especially a public restroom. Increased surface area means increased cleaning and tiny holes and divots means places that trap germs. Andrew Raimist: With regard to building facilities without "an architect", I don't believe that's at all the point of the article. In fact there was an "architect of record" for the project (who ensures that health, safety, welfare, code provisions, structural issues, and other legal concerns are properly addressed. The benefit of a project utilizing architectural students to design and build a functional structure for a community's benefit is multi-fold. It gives the students hands-on direct contact with the building's users. The potential for direct learning by getting immediate, direct feedback from the users is invaluable and unfortunately a rare circumstance in the more usual, standard practice of architecture. In designing and then building such a structure, the students can get feedback such as, "Those washing machines are set too close to the floor or too high. The wash basins aren't usable. The faucets are the wrong size or too difficult to operate. In the standard set-up, an interior architect, interior designer, project manager or client's representative makes such decisions without the input of the building's architect or the building's ultimate user. That's how such illogical choices are made as you mention where the faucets are not sized and positioned properly for the sink basin or the wall surfaces are difficult or impossible to clean. Too often there is no contractual or other responsibility connecting the decision-makers regarding finishes back to the original design architect. This situation applies in commercial, residential, institutional, and many other settings. Personally, I believe the architect should take responsibility for overseeing the proper selections of every material, detail, and element of a building, but such a situation seems to be more and more rare as the building and developing process becomes increasingly atomized.